The Insta360 Nano app has been updated to version 1.7, which includes easier live streaming to YouTube, plus other features. 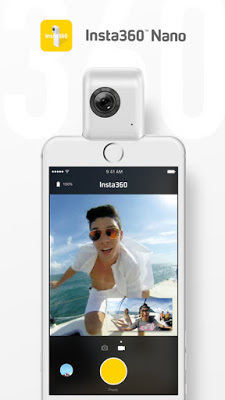 Insta360 Nano is a popular 360 camera for the iPhone, enabling users to use the iPhone to change settings and to easily share photos and videos to social media. It was the first 360 camera to attach directly to a smartphone, a design that has since been copied by other manufacturers hoping for the same success. The Insta360 Nano iPhone app has now been updated to version 1.7, which adds improvements such as easier live streaming to YouTube. 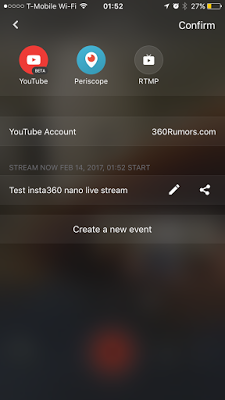 In previous versions, live streaming required going to YouTube and creating a live streaming event, then copying the RTMP streaming URL and stream name / key into the Nano app. Besides being somewhat technical for those new to live streaming (including me), it required someone to go to the YouTube desktop site to start and stop the stream. 1. 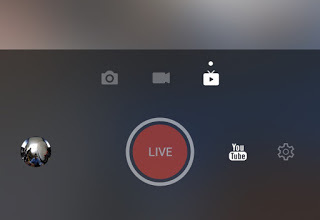 In the shooting screen, there’s a new capture mode for live streaming. 2. Tap on the YouTube logo to choose the type of streaming service and to link your account to YouTube. 3. Tap on the link below to create a new live streaming event. You’ll need to add a title, description, and end time for the stream. When you’re done, tap “Confirm” on the upper right corner. 4. Optional: you can share the link to your live stream. 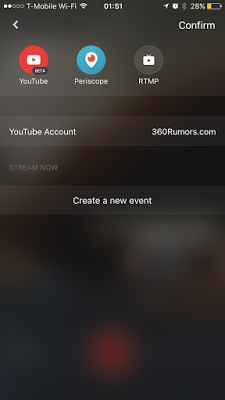 Tapping on the share button will show you the YouTube URL for your livestream, which you can then send on social media. 5. From the main screen, you can tap on the settings on the lower right to choose the bitrate (up to 6mpbs), resolution (up to 1280p) and frame rate (15 or 30fps). Here are sample live streams. As you can see, the resolution is much lower. I’m supposing that’s why the release version of the app uses a longer process — because it yields a better image quality. I’m just guessing about this though. By comparison, the Insta360 Air can also livestream to YouTube — and in version 1.0.0 of its app, it does it with just one button press, with similar image quality as the Nano. Besides improving live streaming, the updated app also has a new “Daily Selections” feature, which is a gallery of photos and videos selected from among the uploads to Insta360’s servers. (Note: when uploading, you can specify whether to submit your photo or video to Daily Selections). 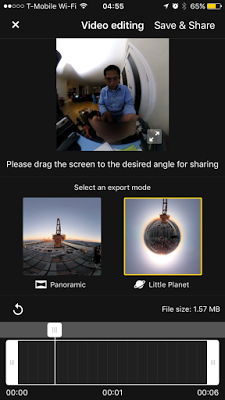 The updated app also enables you to convert your 360 video to a non-360 video, giving you full control over what your viewer will see. You simply swipe and use pinch-to-zoom to choose the perspective that you want. 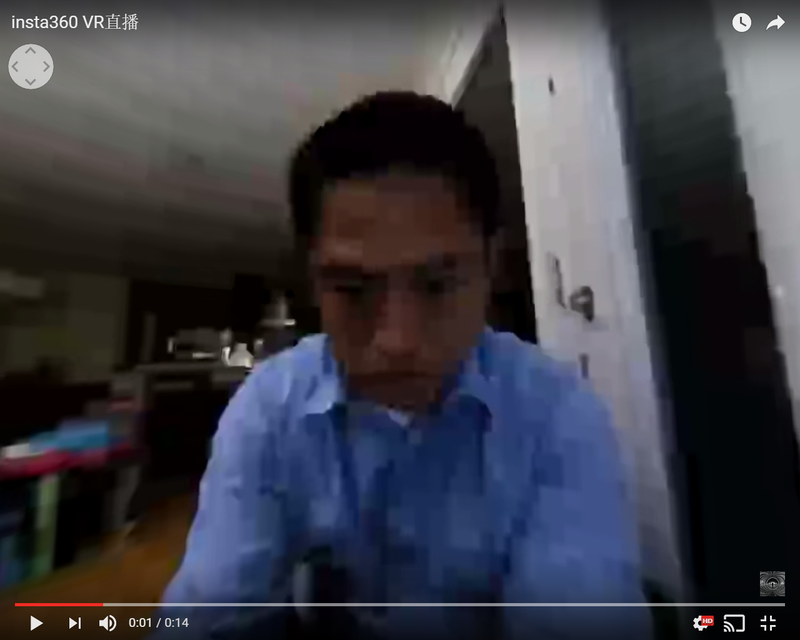 I hope that in the future, Insta360 can find a way to make the live streaming as easy at it is on the Air, while still maintaining image quality. I also hope that Insta360 will add manual horizon correction, a feature that is included in the Insta360 Air app. Finally, I also hope that when Facebook Live is finally launched, it will be added to the list of available live streaming services.